Given the Red #68 auction from last week it is easy to have a negative reaction. Thankfully, for a variety of reasons, situations like that are the exception in M.U.S.C.L.E. collecting. The hobby is really filled with very cool, supportive, and kind collectors. Hopefully people think of stories like this one when they think about M.U.S.C.L.E. collecting. 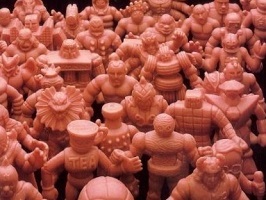 And to help reinforce how great M.U.S.C.L.E. collectors can be – I have another great example of a cool, supportive, and kind collector. I was trying to figure out specifically when I stated that my preference was to actually borrow, instead of buying or trading for, the final figure needed for the M.U.S.C.L.E. Figure Guide. The earliest mention I could find was in July of 2011. 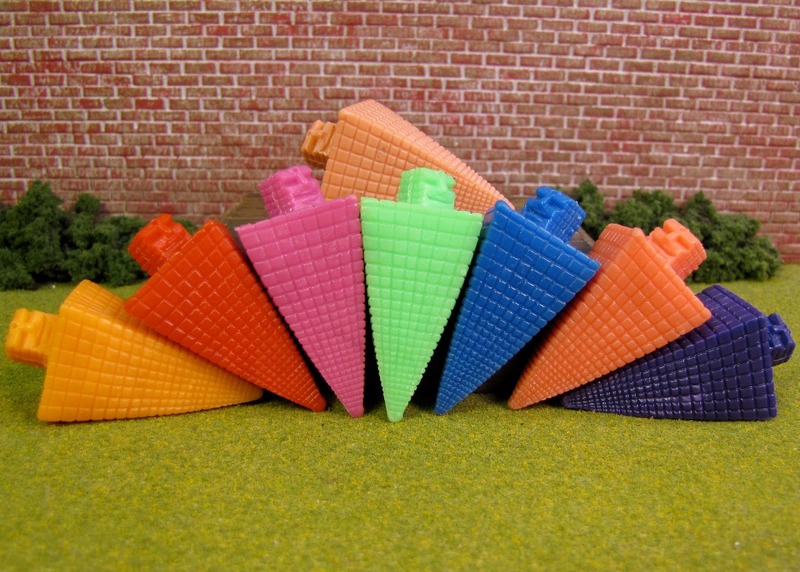 The 1st Example of All the #107 Colors In One Picture! One collector took me up on my offer. Cesar Pena sent me both his Salmon #107 and Purple #107 – both Class A figures. He didn’t ask for a single thing in return. He simply wanted to help. Several things delayed taking the pictures of the figures, but he never complained. In fact, he actually encouraged me to get the pictures done. No matter how frustrating the process was. Thanks to Cesar Pena the M.U.S.C.L.E. Figure #107 portion of the guide will be posted tomorrow. This entry was posted on Tuesday, February 25th, 2014 and is filed under UofM News. You can follow any responses to this entry through RSS 2.0. You can skip to the end and leave a response. Pinging is currently not allowed.